In our lovely studio we offer Yoga, meditation, Pilates, Gyrokinesis and various dance and movement classes. Such as Shake Your Soul and Conscious Movement. We have Gong meditations and special events with the Sound Sisters. 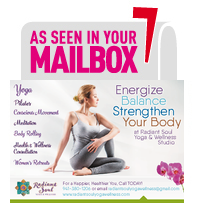 Our intentions is to help you “Experience Your Best Life” through our classes, workshops and special events. We want to create a community, a tribe, and a space where you can make new friends and share in adventures without leaving Sarasota. We also offer health & nutrition counseling, private lessons, workshops and off-site adventures. Feel free to ask questions of any of our well-trained teachers. 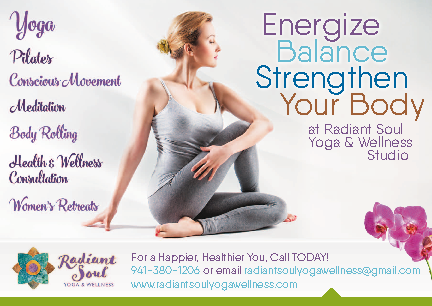 We look forward to seeing you at our studio located at 3512 N. Lockwood Ridge Road in Sarasota.